I bought my Apple iMac just over five years ago. I gave it some emergency surgery about 18 months back, when I put an SSD, a larger hard drive and more RAM in it which kept it ticking along nicely, but the time has come to put it out to pasture. My overall plan is to move to both Mac and PC platforms as I’m using both extensively at work these days, so my budget won’t stretch to another iMac unfortunately. 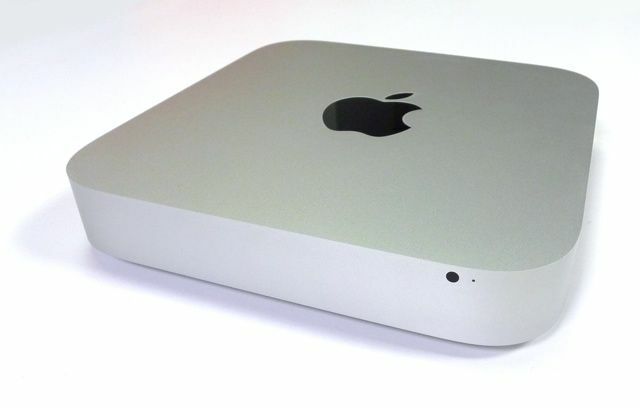 The Mac Mini seemed like the answer, and when I saw a 2012 2.5GHz dual-core model on sale at a great price (just under £400) I decided that would be the one for me. I didn’t like the fact that the newer 2014 model had no user replaceable parts – even the RAM was soldered in – so the upgradeable nature of the 2012 Mini appealed to me. It’s fine out of the box, but I have an upgrade path in that I can add an SSD and even a second hard drive if required, as well as maxing out the RAM. That should make for a tidy (and reasonably priced) machine when complete. I’ll look to make those changes bit by bit over the next few months. I’ve paired it with a rather nice Dell U2414H Ultrasharp monitor, and soon I’ll be thinking about the PC build to go alongside it. This entry was posted in Apple, Computing. Bookmark the permalink.